With over 1 billion monthly users, Instagram continues to evolve and adapt to consumer needs and their latest update is no different. 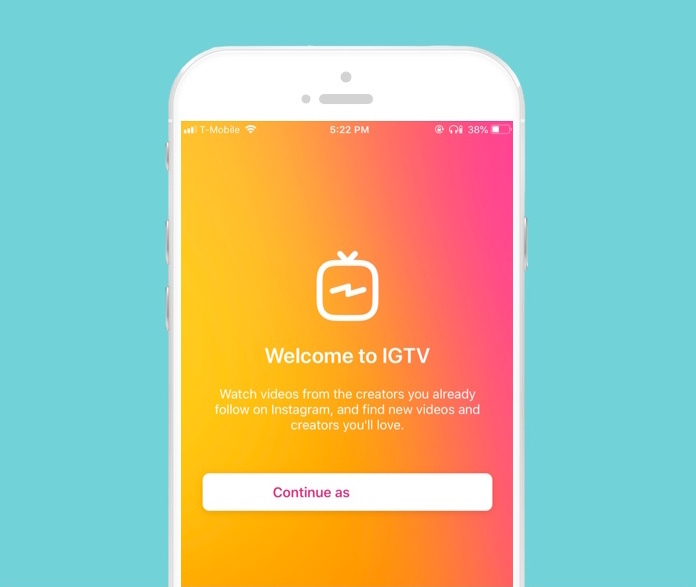 In acknowledgment of a 40% decrease in TV watching and a 60% uptake on mobile, they announced Instagram TV, or IGTV, an integration that now allows users to post videos that are up to an hour long. Previously, Instagram had capped all videos at 60 seconds, so this new update is set to revolutionise how we consume videos across the board. Brands and individuals can now produce long-form content in both horizontal and vertical forms and post it to either their feed within the regular Instagram app, or the new IGTV app. The new offering aims to take on Youtube, offering solutions to the video-sharing app’s clunky interface. For example, it removes the need to rotate your phone to watch something horizontally and uses the same interest-based algorithm to select relevant content, negating the need to search. For companies, it presents a whole new way to reach audiences, convey new messages and show off their skills and knowledge. With the potential to create a whole new way of consumption, there are no doubt big things in store.